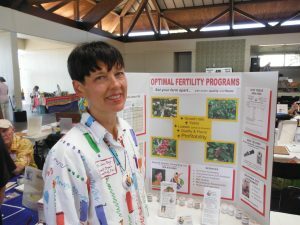 We are still in early registration–so call (808)938-9888 or email info@beyondorganicresearch.com today for a 30% discount off the course! Hi, I hope your holiday season is going well! My apologies for my lack of blogging lately. I had to move home and office. However, I am still on the beautiful Big Island of Hawaii. 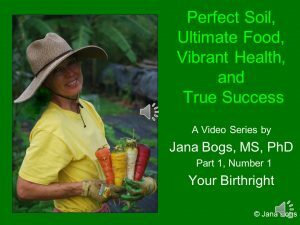 I have also been busy putting the finishing touches on my new online course called Perfect Soil, Ultimate Food, Vibrant Health and True Success. I’m so excited to share this information in a personal way about growing the best food ever with an enthusiastic, committed group of growers! There will be videos, group calls, and more. Each participant will get their soil analyzed as part of the course. There’s even a certificate program. So stay tuned for more info coming shortly. At the local market the other day, I was shopping for mangoes. Most of the mangoes I had recently were insect contaminated or partly rotten, even if they looked OK on the outside. Then on one table, I spotted a gorgeous mango for sale, so I enquired as to the farm from which it came. Turns out I had done soil analysis at that farm. This mango, pictured on the left, stayed good for a week in the refrigerator. It was perfect! It was sweet (high Brix level), and had great texture and flavor–perfect in every way. The mango on the right looked like most of the mangoes in this area–covered with a fungus called anthracnose (Colletotrichum gloeosporioides). When plants get the nutrients they need, they are much more disease resistant. 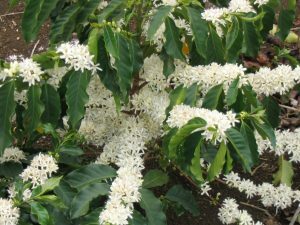 They also more pest resistant, taste better, have a longer shelf life, and yield more abundantly. “Let Food Be Thy Medicine”, but where are the Medicinal Quality Foods? 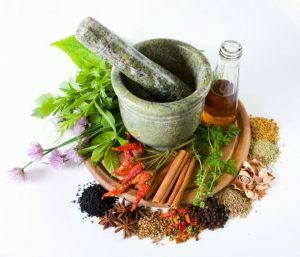 Hippocrates was revered for his great teachings, one of which was: “Let food be thy medicine, and let medicine be thy food.” Yes, we need to look to nature for health and healing. Natural foods contain a vast array of naturally-occurring phytonutrients. “Phyto” means plant. In addition to containing the always-important vitamins and mineral complexes, plants contain the genetics to be able to produce thousands of additional phytonutrient molecules, many of which have medicinal qualities. Most of today’s foods are only a shadow of their former selves. They have been bred or genetically-modified without thought for their nutrient content. 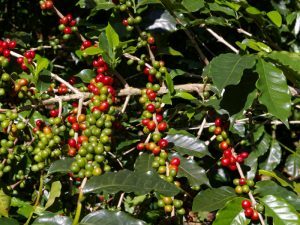 They have been produced on soils lacking essential nutrients needed to produce medicinal-quality foods. Plants actually have a lot greater array of genetic material than we humans do. They have to create their own food through photosynthesis. We can’t do that! They also create certain compounds to protect themselves from pests and diseases. Some of these special compounds are useful to us to prevent or treat our own diseases. This is where many medicines start. The drug companies isolate specific phytonutrients which have certain effects and then create similar patentable molecules. Unfortunately, this is not the way of nature. Isolated compounds do not have the same effects as those with naturally-occurring complimentary phytonutrients. Also, similar, but not bio-identical, compounds do not have the same effects either. Then we can get undesirable side effects. Phytonutrients are also what we sense as flavors. Oranges taste like oranges and cinnamon tastes like cinnamon because of the varying arrays of phytonutrients. Growing plants in properly balanced soil allows them to express their full potentials for forming phytonutrients because they have the raw materials they need to do so. If plants don’t get the specific nutrients they need as building blocks, the production of specialized compounds will stop. The plant may not die, but it cannot express its full potential either. The love and care we give our plants by our supplying the raw materials they need will return to us many fold when we eat them. The plants will supply us with abundant yields of tasty foods, packed with health-giving phytonutrients. It all starts with a comprehensive soil analysis, followed by amending the soil. Plant leaf tissue analysis can also help us know what the plants need so we can help them out with foliar nutritional sprays. Go forth and grow yourself some medicinal quality foods with long forgotten flavors! 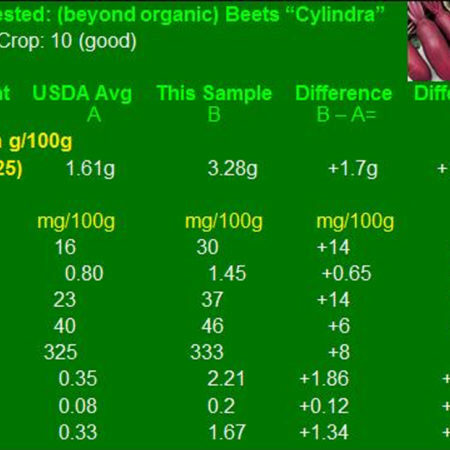 Learn more by clicking around on the various pages on my website, www.BeyondOrganicResearch.com. 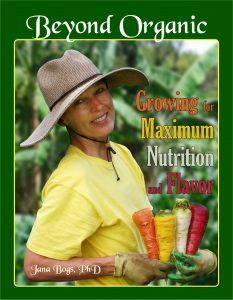 For a more indepth look, check out my book, Beyond Organic…Growing for Maximum Nutrition and Flavor. It is available on my website (with free shipping) as well as on Amazon.com, where the e-book version has hit #1 in two categories. Sorry, comments are closed due to silly spamming robots. http://beyondorganicresearch.com/wp-content/uploads/2017/06/bor-logo.jpg 0 0 Dr. Jana Bogs http://beyondorganicresearch.com/wp-content/uploads/2017/06/bor-logo.jpg Dr. Jana Bogs2016-05-04 17:03:452016-06-10 12:14:26"Let Food Be Thy Medicine", but where are the Medicinal Quality Foods? Respiratory distress and irritated eyes can be caused by sulfur compounds called sulfites which are present in smog and vog (a combination of volcano smoke and fog). These are real concerns for some Hawai’i residents, especially children living in voggy areas. Molybdenum (Mo) is an ultra-trace element (mineral) which is needed as a cofactor to enable certain enzymes in the body to work. Dr. Carl Pfeiffer, a biochemist and physician who helped run the Princeton Brain Bio Center, felt that sulfite sensitivity may be due to molybdenum deficiency since he had seen consistently low blood levels of Mo in his patients. Molybdenum is needed to activate the enzyme sulfite oxidase, which changes toxic sulfite to harmless sulfate. The oxidation of sulfites is necessary to prevent neurological damage and allergic/asthmatic symptoms. Other Mo-activated enzymes are responsible for some aspects of amino acid metabolism. Also, be aware that sulfites are added as preservatives to many foods, such as wine and dried fruits to preserve the colors. Ever heard of someone having a sulfite allergy? Probably just a lack of molybdenum. We should be getting adequate molybdenum in our well-grown foods. However, molybdenum levels in soils or foods are rarely tested. 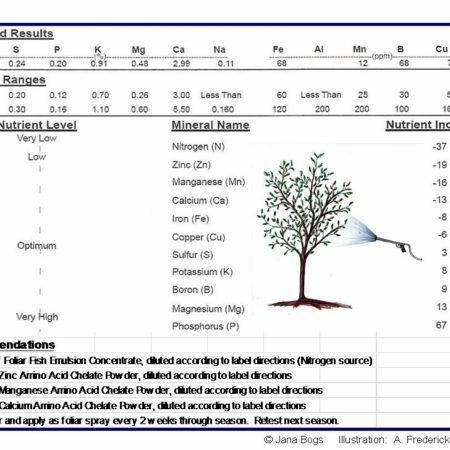 Because of its importance, this element is included in the Beyond Organic comprehensive soil analysis. I often see very low (deficient) levels. In the crop growing world, molybdenum is an enzyme catalyst for changing nitrate (NO3–) to ammonium (NH4+), a plant-useable form of nitrogen. This trace element also enhances protein formation. Molybdenum is needed for atmospheric nitrogen fixation by bacteria growing symbiotically with legumes as well as non-symbiotic nitrogen-fixing bacteria. Molybdenum is used in the conversion of inorganic phosphorus to an organic form and is necessary for ascorbic acid (vitamin C) metabolism. Gross deficiency symptoms include chlorosis of leaf margins, distortions in leaves and flowering bodies, and decreased fruit set due to less viable pollen. Ultra-trace elements such as molybdenum and others can be supplied to soil with applications of naturally-occurring rich sources of trace elements such as Azomite, greensand, seaweed (i.e. kelp), and ocean fish. When soil levels are very low, it is good to supplement the soil with small amounts of a concentrated version of molybdenum, such as sodium molybdate. Seaweed and fish hydrolysates can also be used as ingredients in fast-acting foliar sprays. Rejoice! Help with vog and smog is on the way! You might just need Mo’ molybdenum! What does it take to make it your Best Year Ever? 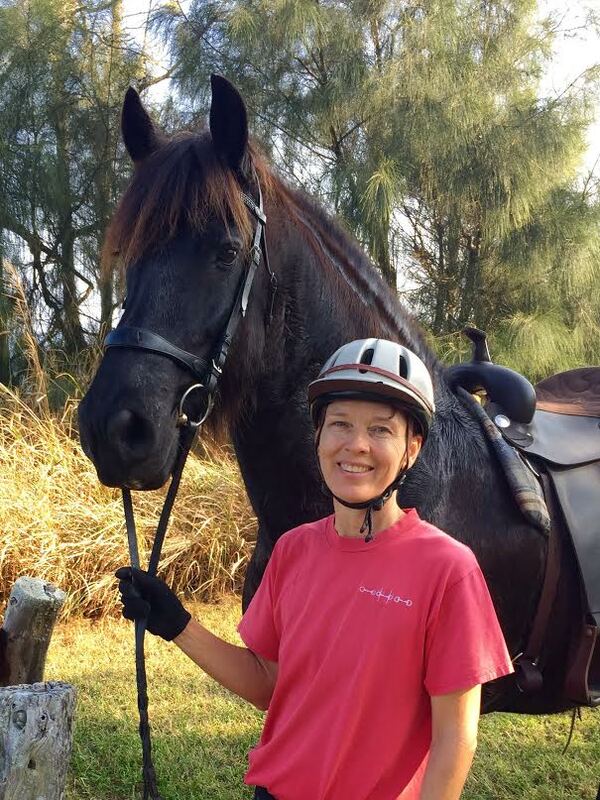 Jana and Zeus enjoying a beautiful day. Go forth and Do Your Dreams! “The best year ever in terms of what?” you may ask. Well, what’s important to you? Feeling great–having excellent physical and mental health–is a big deal, and can help all areas of your life to be more successful and fun. Financial success, great relationships, and achieving your dreams–like having an amazing farm or garden–all are influenced by your health. And your farm or garden can be one of the most important factors in keeping you healthy, especially if you grow with Beyond Organic methods so your plants supply you with amazing nutrition. Building great soil is an on-going process, taking more intensive work the first few years, but paying big dividends over time–in terms of your plants’ health and your own health. Most soils need to have nutrients added every few months to achieve the best balance, especially items like sulfur and boron which wash out of the soil quickly. These nutrients are critical for development of essential amino acids needed for our health. When beginning the soil building process, it’s good to have your soil analyzed every 6 months, with a minimum of once a year. Leaf tissue analysis can tell us what the plants are lacking. Fortunately, custom foliar nutrition sprays can be used to help plants make great food quickly, while waiting on the soil to become well balanced. Take care of your soil and plants, and they will take care of you so you can have the Best Year Ever! http://beyondorganicresearch.com/wp-content/uploads/2017/06/bor-logo.jpg 0 0 Dr. Jana Bogs http://beyondorganicresearch.com/wp-content/uploads/2017/06/bor-logo.jpg Dr. Jana Bogs2016-01-22 23:04:252016-01-22 23:04:25What does it take to make it your Best Year Ever? 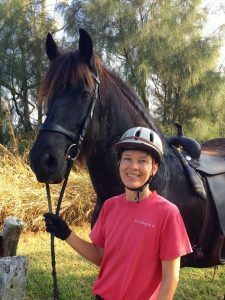 Here’s a video by Dr. Stephanie Seneff, a professor from MIT who also lives in Hawaii part of the year. She has done amazing research on the effects of glyphosate (the main active ingredient in Roundup© herbicide, the world’s biggest selling chemical). In this video she discusses its connection to major health problems. People have been led to believe that Roundup© is safe, however it is now known to be an endocrine disruptor in parts per trillion! The manufacturer, Monsanto, hid animal studies which resulted in cancer, but the data has now surfaced. The World Health Organization (WHO) has declared glyphosate a probable human carcinogen–classified “probable” due to the lack of human studies. Dr. Seneff has a lot more videos on YouTube and published scientific papers alerting people of the dangers and how to overcome the problems. One of the main things is to eat organically grown foods that are nutrient dense and free of toxic agricultural chemicals. By definition, organic foods are GMO-free. Just avoiding GMOs is not enough because even many non-GMO crops like wheat, other grains, beans, etc. are sprayed with Roundup© just prior to harvest. Roundup© is systemic, which means it can’t be washed off the food. Meat and dairy animals in our country are mainly fed GMO feeds with high levels of glyphosate. This comes through to the consumers of the meat and dairy products. Even fruits, vegetables, nuts and seeds can be contaminated. Also, don’t use Roundup© in your yard! Members of my community are working to stop the roadside spraying of this chemical by the county. Many countries have already banned its use entirely. It needs to be banned worldwide!